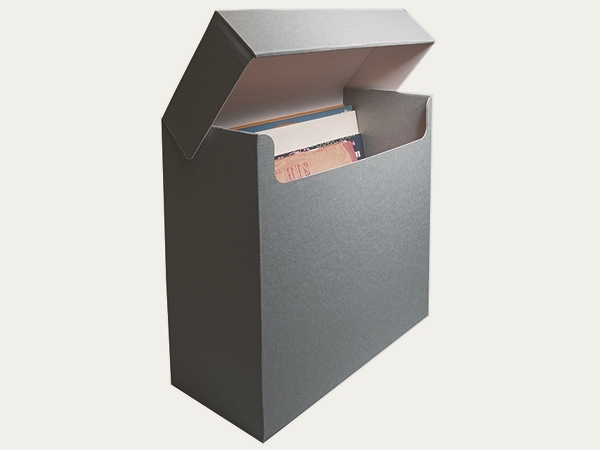 A double-walled archival box for the upright storage of vinyl gramophone records, LP 33, 45 and 78 min-1. 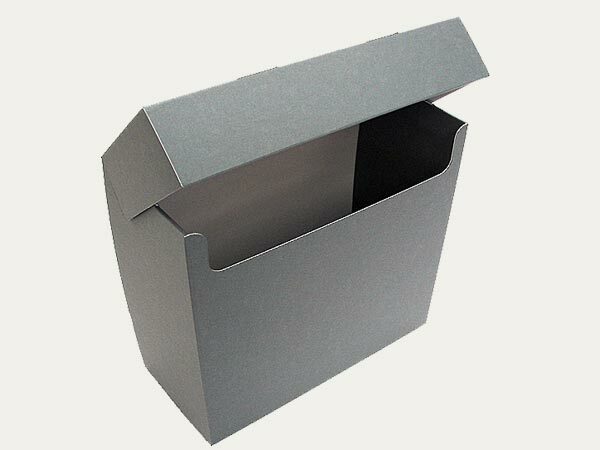 Made from corrugated board material MW 1.7, 680 gsm, exterior colour grey-blue, interior natural white, with smooth interior surfcace. Delivery flat, on request assembled and upright.